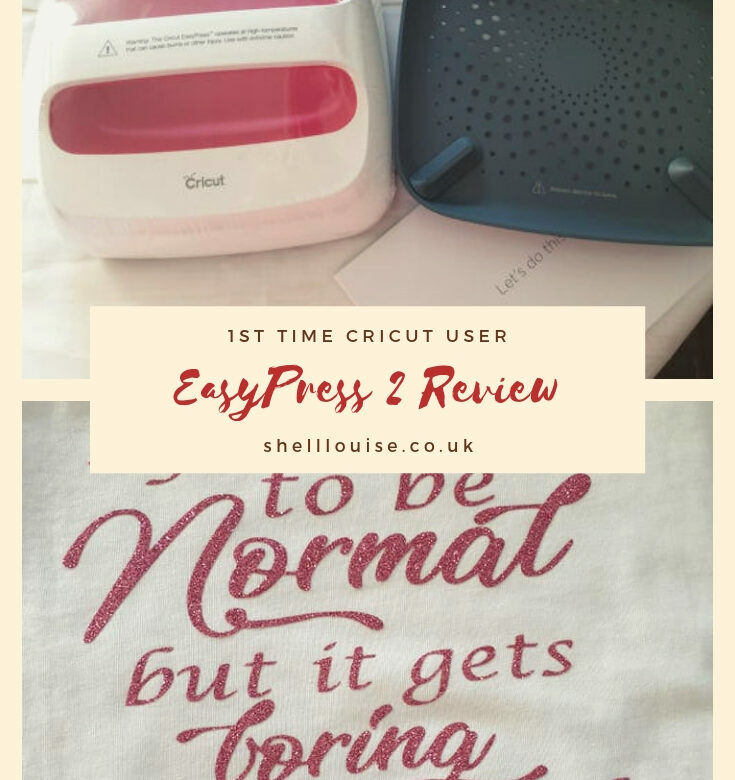 I can’t begin to tell you how excited I was when the new Cricut Maker and EasyPress 2 were delivered to me a few weeks ago. Whilst I’m not completely new to crafting, I don’t class myself as an experienced crafter. The children have always enjoyed crafting and I enjoy doing it with them, but our creations are totally amateur compared to the things I’ve seen other people make! 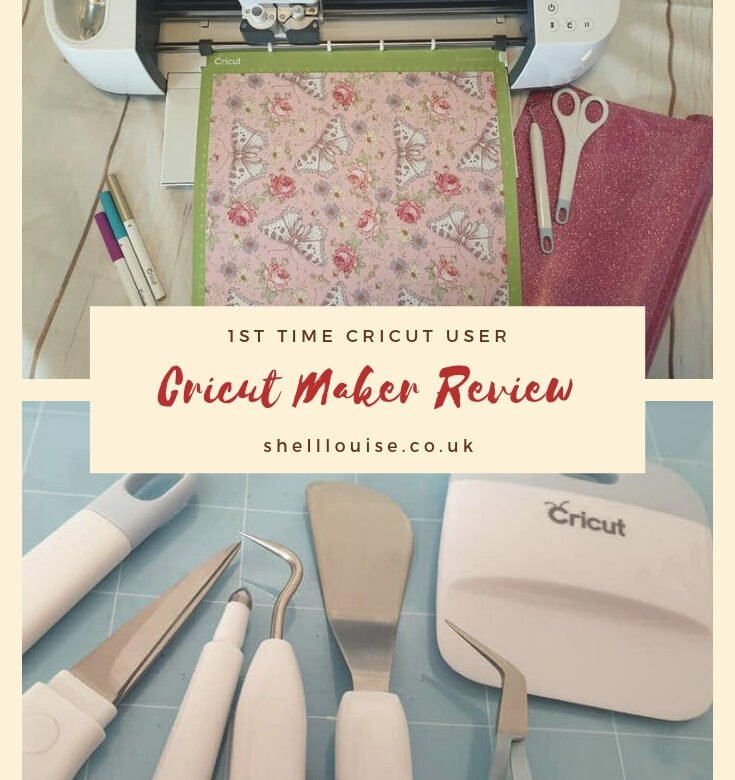 As I’ve never used a Cricut machine before, I’m not able to compare it to any of the older Cricut machines or any other cutting machine for that matter. I’m a completely new user and as such, I’ll be telling you how this total newbie got started. From researching the new Cricut Maker online I’ve found that it has an Adaptive Tool System which controls the direction of the blade and the cut pressure to match your chosen material. This is what makes the Maker different and better from older models, especially if you’re wanting to use it for fabric cutting. This wonderful machine can cut everything from regular paper and cardstock to delicate papers like tissue and crepe. Using the rotary blade, it can cut all kinds of sewing materials without having to back the fabric and using the washable fabric pen, it also marks the fabric at the same time. This appears to be one of the features all the other Maker users are really excited about! I’m sure I’ll be the same when I start making things out of fabric. I do love sewing and I’m really excited to try some of the patterns that are available in Design Space. Using the washable marker and rotary blade, you just attach the fabric to the fabric cutting mat, choose your fabric in Design Space and let the machine do the rest. A deep cut blade is also available which enables the machine to cut through balsa wood, matt board and heavy leather, to name just a few. There are 4 different coloured mats. They come in two sizes; 12″ x 12″ or 12″ x 24″ and they’re totally reusable. If your mat starts to lose its stickiness, you can find out how to bring it back to life with a quick Google search. Design Space is the web-based software that is used to create designs. It allows you to create your own designs or choose from hundreds of make-it-now projects. Cricut Access is a subscription service which gives you access to fonts, images, make-it-now projects and lots more. You don’t have to subscribe to be able to use Design Space. You can use your computer, tablet or smartphone to connect the Maker to Design Space. It can connect via Bluetooth or USB and there’s also a charging point for your phone or tablet. When I first opened Design Space I felt a little overwhelmed, however, it didn’t last long. There are lots of tutorial videos to help you and I managed to download an SVG file (keep in mind I had no idea what an SVG file even was before I got the Cricut Maker! ), import it into Design Space and create a gorgeous wedding memento for my cousin and his new bride! I’ll be honest and say that I did have to try 2 or 3 times to get to the finished product. I didn’t know about working with vinyl yet so when the tiny letters and numbers didn’t work out very well using the card, I gave up (the wedding was the next day and I was running out of time!) and bought some silver letter and number stickers instead! If I’d have started the project earlier and checked out more of the tutorial videos on the Cricut website, I would have found my first project much easier! I’ll be talking more about vinyl in a future post as now I’ve seen the things you can create with it, I can’t wait to get making! Using vinyl to make personalised gifts is the thing I’m most looking forward to learning. I love the design of this machine. It’s so smooth and shiny! The storage areas are one of my favourite features because I like having a place for everything and everything in its place! This magnetic strip is great for storing Cricut TruControl knife blades. KayCee, (13) and Ella (11) both used to love crafting. However, now they’re getting older, they don’t ask to craft as often because they want to be out with their mates. The Cricut Maker has changed all that. They both want to be making things all the time now since we set it up and they learned how to use it! Mother’s Day is approaching here in the UK and we’ve already made cards for my mum and Ant’s mum. Ella wants to make a card for me tonight and she’s going to have to make it on her own because I’m not allowed to see it until Mother’s Day. We’ve also decided on the gifts we want to make for each mum. I can’t tell you what they are, however, because we don’t want them to have the surprise spoiled! Because this machine can do so much, it’s going to take me a while to learn about everything. It’s a journey I’m so excited to embark on and I hope to be sharing many Cricut tutorials with you in the future.